July 5th, 2017 | Lifestyle, Moving Tips. 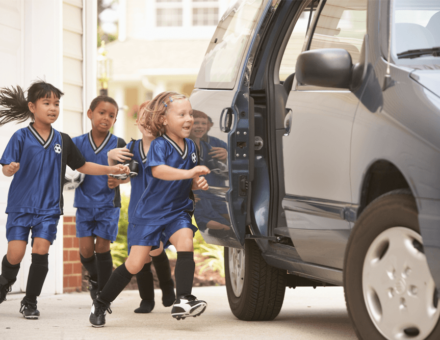 In this blog, we provide several guidelines to help you and your family begin to integrate into your new community after a move. As an adult, you may feel intimidated by the prospect of making new friends. Worse, as a parent, you may worry that your children will struggle to make friends. One of the ways you can find potential friends for yourself and your kids is to meet with people with whom you share interests. You may want to start with your neighbors who have a living area in common with you. Other common-interest groups may include parents, pet owners, hobbyists, and so on. You can find these groups through organizations like the PTA, places like the nearest dog park, and forums like an online chat room for local woodworkers. Libraries are one of the best places to start getting to know a community after a move. Your local library offers community-oriented services, and many libraries are located in central parts of their respective cities. If you want to feel like a local after a move, you have to keep up with the local news. You may want to subscribe to a city newspaper or a community newsletter to learn more about what’s happening in your area. Additionally, learn more about the elected officials who serve your area. A little political research right after moving in can encourage you to get involved in community efforts and help you stay informed about legislation that affects you. Serving your community is one of the best ways to feel like you’re part of it. Find a charity or organization that you feel good about investing your time in. If you have skills that the charity needs, you can focus on providing those services. Additionally, if you can’t invest a set, regular amount of time due to your busy schedule, consider volunteering for a specific event. For example, many charities have holiday events to provide for people in need, and such organizations generally encourage volunteers to help. You may find yourself working side by side with or even serving your new best friend. Use these guidelines to start to feel like you belong in your new neighborhood. These steps can help you move on with your life after you move into your next home. Instead of spending your time packing, let the professionals at Wheaton World Wide Moving handle all the details of your upcoming move so you can take the time to get to know your new community.